When Beau Wine Tours plans Napa Valley group wine tasting tours, we must feature the Carneros region! Located at the southern end of Napa Valley, the Los Carneros appellation is shared with Sonoma County. Unlike most of the Napa Valley’s famous AVA’s, Carneros is known largely for its Pinot Noir and Chardonnay grapes, as well as famous sparkling houses like Domaine Carneros (check it out below!). Recently, other varieties have been planted as viticulturists experiment with the region’s rolling hills, cool fog, and warm daytime temperatures. Below, you’ll find some of our favorite spots in Carneros for group wine tasting tours. You might notice they share a few things in common: stunning views, award-winning wine portfolios, and unforgettable hospitality experiences! Artesa is a staple in the Carneros region. This is because it acts as a nexus between the history of the area and a vision for its future. Though the winery was founded more than 25 years ago, the founders belong to a famous winemaking dynasty in Spain, with more than 460 years of winemaking experience! The name “Artesa” is the Catalan word for ‘handcrafted’. These wines draw from 350 acres of vineyard to ensure only the best grapes make it to your glass. Led by winemaker Ana Diogo Draper, a native of Portugal, Artesa meticulously cultivates grapes on the vine for small-lot fermentations that honor the distinct character of each planting. The winery also uses sustainable agricultural practices to keep the vineyards in healthy harmony with the local ecosystem. In this spirit, Artesa’s winemaking facility was built into a hillside under the vision of famed Barcelona architect Domingo Triay. With a roof protected by a cover of native grasses, the result is a panoramic view of the natural Carneros landscape that makes for a truly memorable visit on any group wine tasting tour. The recently refurbished Visitors’ Center showcases this amazing facility, but it’s not the only reason to add Artesa to your itinerary. There are three tasting flights to choose from that include both bar and tableside service and allow guests to sample some of the winery’s famous single-vineyard bottlings. Daily winery tours are also available, but reservations are strongly recommended for any group wine tasting tour. Artesa is also famous for a long list of food and wine pairing menus, including one that focuses on chocolate, another on tapas, and many more to choose from! But regardless of how you choose to try them, these wines are ultimately what puts Artesa on the map. They have no fewer than six current release wines with scores above 90 points, and these include such diverse wines as Cabernet Sauvignon, a sparkling Brut, and Pinot Noir in addition to Albarino, Tempranillo, and Malbec. Just as Artesa reflects the influence of Spanish winemaking and culture on the region, Domaine Carneros is a landmark for visitors and locals alike in the celebration of both French and Californian wine country. The Domaine Carneros Château itself sits atop a lush, terraced garden run through with winding staircases that switch back under the watchful gaze of brightly colored blooms. Inside, the royal aesthetic extends to marble floors, generous terraces, and gracious décor. The structure was designed after the 18th century Château de la Marquetterie in Champagne, France, home of Champagne Taittinger and namesake of Domaine Carneros’ own founder, Claude Taittinger. But rather than try to copy French wines using California fruit, Taittinger enlisted American winemaker Eileen Crane to help create a winemaking facility that used Champagne’s méthode traditionnelle to celebrate the unique flavors and textures of Napa Valley grapes. Long a renowned sparkling house, Domaine Carneros added a still Pinot Noir to its impressive portfolio. But whether still or sparkling, these wines are crafted from the winery’s extensive and sustainably farmed vineyards. To taste these sophisticated wines on the elegant grounds of the regal Château, simply choose from “Daily” or “Specialty” tastings. Both require reservations. The Daily selection includes a flight of wine with optional upgrades, like the Smoked Salmon Plate or varietal-specific cheese platters. You can even opt for a flight of caviar, from American-raised sustainably-farmed sturgeon! Your group can also choose to join a tour of the facility. Specialty experiences include “The Art of Sparkling Wine Pairing,” which highlights Asian cuisine paired to four sparkling pours. Or try the “Ultimate Chips and Dip,” which pairs sparkling wine with caviar, crème fraiche, and gourmet chips! Of course, the star of any tasting is the wine itself, and Domaine Carneros has plenty to offer: the dry selection of sparkling wines includes a Rosé and Blanc de Blanc, and the winery makes five different Pinot Noirs in addition to Chardonnay and Merlot. 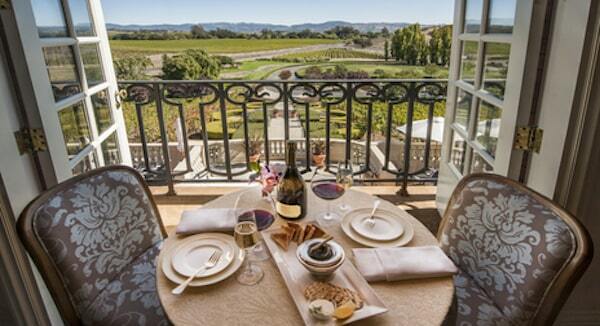 Domaine Carneros offers a wine for every palate on your Napa Valley group wine tasting tour! Bouchaine Vineyards has a memorable motto, one that has driven the winery from the very beginning and could be said to characterize Carneros itself: Curiosity, courage, and an open mind. The founders of Bouchaine acquired the property after it had fallen into neglect under a much larger label. The site had only been used for storage and blending, but by 1996—fifteen years after they first invested in the estate—the founders turned a run-down facility and 30 bare acres into the breath-taking Bouchaine estate of today. And what wine it is! The primary spotlight is on a selection of single vineyard Pinot Noirs and Chardonnays. However, you’ll also find a Cabernet Sauvignon, Pinot Gris, and Vin Gris in their portfolio, as well as Riesling and Late Harvest Chardonnay. To enjoy these wines and to see the rolling vineyards of the Bouchaine estate, you can choose an Estate Tasting or Barrel Tasting and Vineyard Tour (or both!). Tours require advance reservations, as do tastings for parties of six or more. Ceja Vineyards brings generations of wine experience and hospitality to the lucky wine tasters who walk through their door! The vineyards and wine label are a dream come true for brothers Pedro and Armando Ceja, who were brought to the United States by their parents in 1967. Their father had fallen in love with St. Helena and knew he wanted to share the beauty and bounty of the Napa Valley wine country with his family. Pedro and Armando (and their eight other siblings) grew up working in vineyards. It came as no surprise when the two came together after college to found their own winery estate. 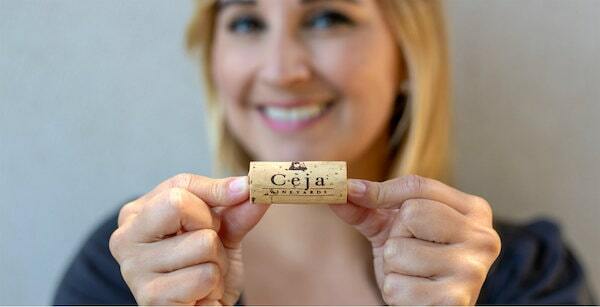 With the help of their parents and spouses, the Ceja’s bought 15 acres in Carneros in 1983. They celebrated their first harvest in 1988. Fast forward 11 years (and an additional hundred acres of sustainably farmed vines), and the Ceja’s founded their own winery label. New generations of Ceja’s are eagerly carrying on the tradition. The whole family welcomes your group wine tasting tour to visit today! Visitors can sample a range of red and white wines in the Ceja Wine Tasting Experience, and while walk-in seating is available, reservations are recommended for parties of five or more. The tasting includes five pours, and you’ll definitely want to try their luscious Carneros Pinot Noirs, as well as less common wines for the region, like Syrah, Cabernet blends, and both red and white dessert wines. Winemaker Armando Ceja attributes his palate’s sensitivity for vibrancy and balance to the culinary expertise of his mother and grandmother. These matriarchs made cooking and eating together an act of everyday celebration. “That foundation in food and aromas and flavors helped me tremendously in winemaking,” he says. While you’re there, ask for tips on how to pair Ceja Vineyards wines with cuisine, or check out the label’s outstanding recipe selection online. Let Beau Wine Tours tailor your tasting experience to your palate while showcasing the finest wines in Napa Valley. Contact our reservations team here and let us help you. Discover many, many more Napa Valley wineries here.